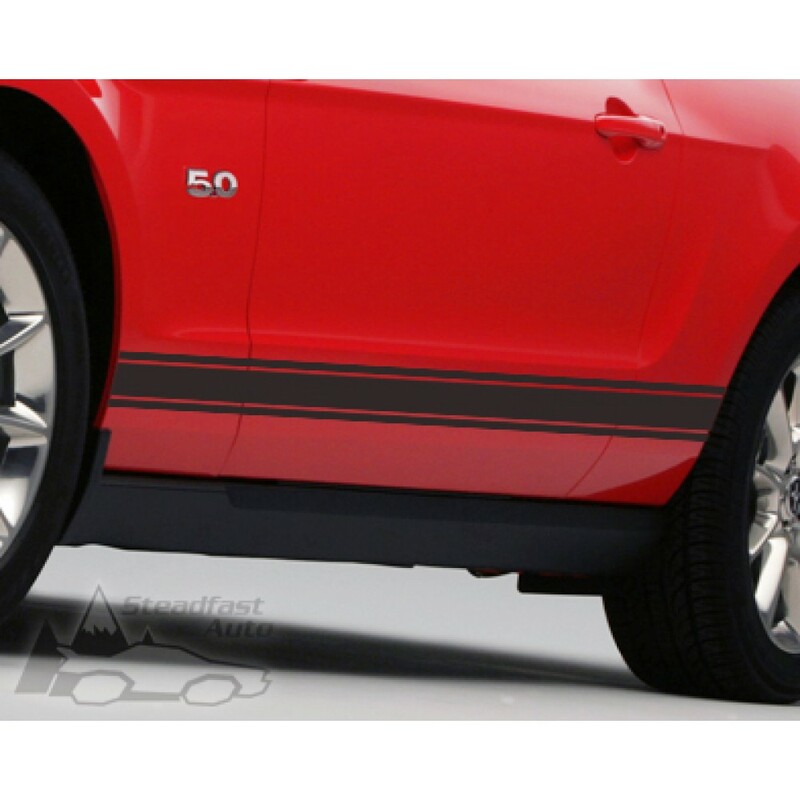 With this item you receive two Ford Mustang Tri-Bar Rocker Stripe Vinyl Decals precision cut out of 10+ Year High Performance Cast Vinyl that each measure approximately 80" x 3.5". Steadfast Auto decals come with premium clear application tape for easy installation. These decals feature a gloss black finish that will make your car truly stand apart from the crowd. These decals are a great addition to any year Mustang, each being 80 inches long to allow you to trim them to fit your Mustang body style. 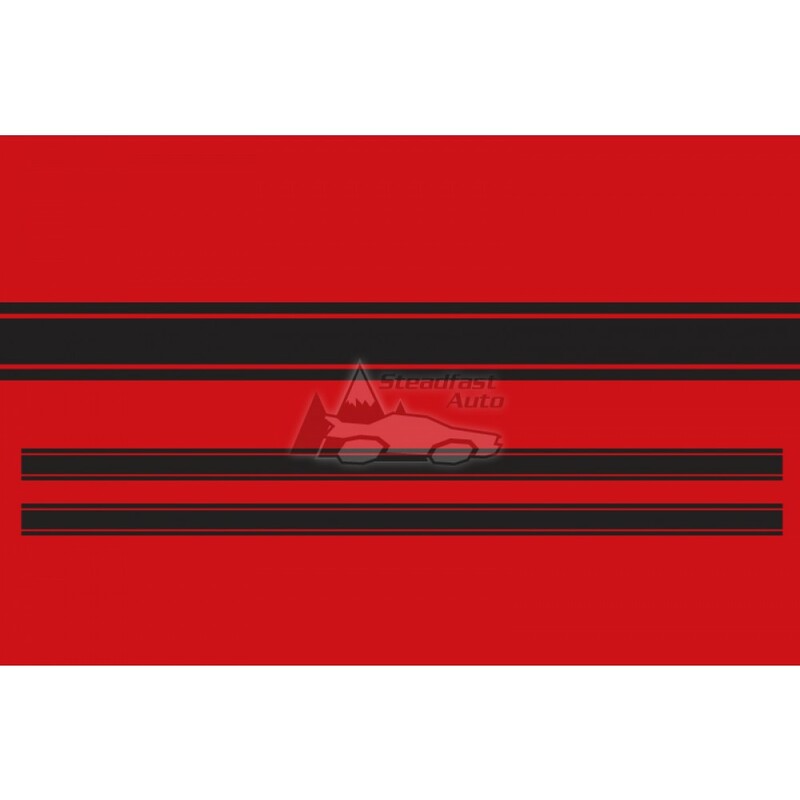 Unlike other brand of rocker stripes, a FREE Vinyl Decal Installation Kit is included which comes with Performance Vinyl Application Fluid specially formulated for installing vinyl decals on vehicles, a Precision-Tip Vinyl Trimming Knife with retractable safety blade cover, and a Vinyl Installation Squeegee.